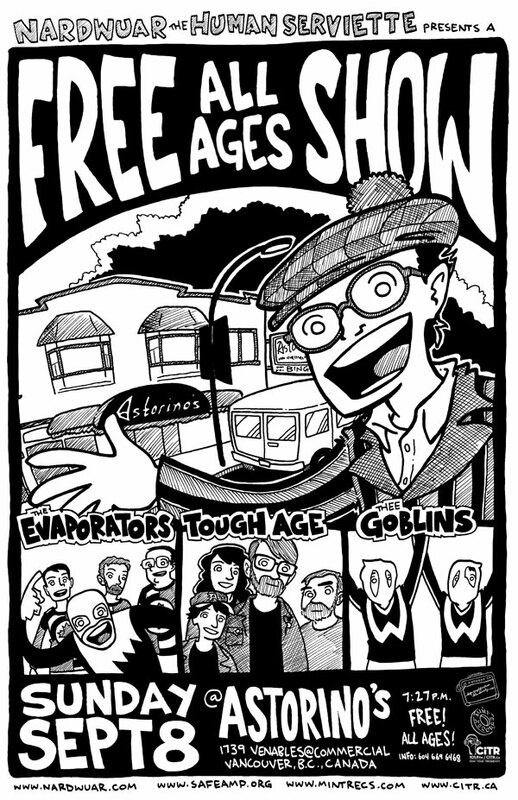 Nardwuar The Human Serviette News: Sun Sept 8th: FREE ALL AGES Evaporators Gig in Vancouver! Sun Sept 8th: FREE ALL AGES Evaporators Gig in Vancouver! 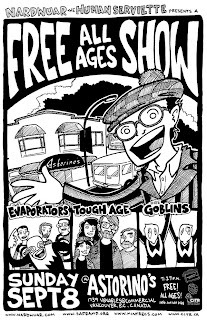 Sunday September 8 - Vancouver,BC -FREE ALL AGES Evaporators show @ Astorino's (1739 Venables) w/ Tough Age & Thee Goblins . Evaporators on at 9:15pm Doors 7:27pm Info 604 669 6468 FREE! ALL AGES! Facebook Event Page is HERE !